A mobile payment app is simply a service that allows consumers to send money to another person by email or mobile phone number) via an app, or sometimes a website. Like any competing service providers, they all operate basically in the same way, while each one offers distinctive features that set them apart. People are often under the impression that all payment transfers happen instantly, but that's not necessarily the case. Each major mobile payment app has its own advantages and limitations. Most payment apps use a digital wallet method of transfer, meaning when you send money, it delivers the payment to a digital wallet, after which the recipient transfers the money from the wallet into his/her personal account. You can think of the wallet as a virtual escrow account. Apple Pay is a payment system to move consumers from physical wallets packed with cards & cash to a world in which your iPhone or iWatch does all the work. Apple Pay Cash is integrated into the Messages app on your phone, meaning you can send & receive money as you would a text message. It's that simple. Also you don’t have to download another app to use it. Whether splitting a bill at a restaurant with a friend, paying someone back or sending a last-minute gift, Apple Pay Cash makes it easy to pay & get paid. 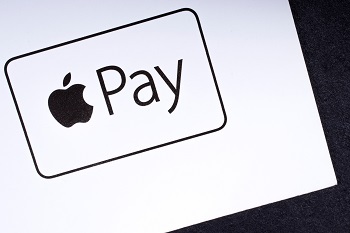 Apple Pay supports most major credit & debit cards providers including Visa, MasterCard & American Express. You do need to use a credit or debit card through a participating bank in Canada & the US. 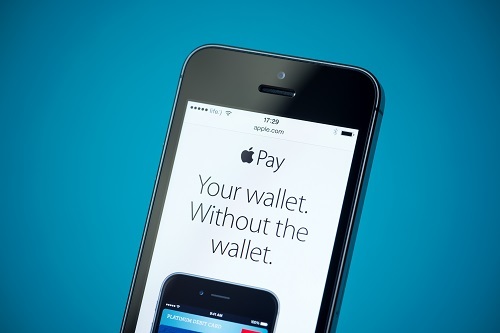 Apple Pay is free to use for all users of Apple devices. If you link a debit card to your Apple Wallet, there is no fee for a transaction. If you link a credit card there's a 3% fee. Once you receive money, you have a few options. You can store the money in your Apple Wallet & eventually spend it using Apple Pay, or transfer it to a bank account which can take up to three days. Venmo is a costless payment system that allows you to pay & request money from your friends & family using funding you have in your Venmo account. When setting up your Venmo account, you first have to decide how you want to pay people, also known as setting up your ‘funding source’. Any money living in your Venmo balance can be used to pay other Venmo users & can also be transferred to your bank. 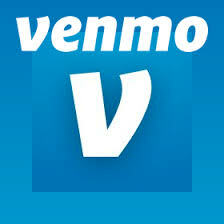 Moving money from your Venmo balance to your bank account can be done very easily. Let’s say you have only have $25 in your Venmo balance & you want to pay a friend $30. In this case the entire $30 would be taken from the card or bank account you set as your primary funding source. If you owed them $10 it would be taken out of your Venmo balance. The Internet has revolutionized the way people shop. You can now order nearly anything you can imagine from anywhere in the world. If you’ve never used PayPal, it’s a free service for buyers that allows you to pay online—using money in your PayPal account, your bank account or with a credit card—anywhere a merchant displays a PayPal checkout button on their website. According to its website, PayPal is the more secure way to shop online because the seller never sees your credit card number. You can transfer money (abroad) to family, friends, use it in online shops & auction sites like EBAY. If you shop a lot at small online stores (ie. Etsy/Ebay) Paypal could be a good option. This way you don’t have to continually enter your credit card number for each purchase. Many large online stores also take Paypal when you check out. If you link the account to your credit card you can still gain reward points from your credit card company. Also you don't need to have a Paypal balance to make a purchase. With PayPal you can pay directly from your linked bank account, linked debit card or linked credit card. For those who prefer using their credit card rather than Paypal, credit card companies offer purchase & fraud protection services. Thanks to the federal laws you're only liable for $50 of the charges if your credit card is lost or stolen. Compare that to the protection offered by PayPal to see which you feel more comfortable using. If you have an android phone, Google Wallet can be right for you. Google Pay is supported at most major markets, gas stations & department stores. Google Pay is a digital wallet & online payment system, developed by Google for phones, watches & desktops. Unfortunately, Google Pay isn’t supported on iOS devices for in-store payments.